In another study, researchers collected data from patients with MS (n=333) who were switching from natalizumab (Tysabri) to fingolimod (Gilenya) after a mean of 31 natalizumab infusions (female to male ratio, 2.36; mean age, 41 years; 71% were JCV positive). Data was collected regarding treatment with Tysabri, the duration and management of the washout period (WP) after stopping Tysabri, and any relapses or adverse events occurring during the WP and during the 6 months after patients started Gilenya. During the washout period, 27% of patients relapsed. The risk for relapse was 3.2 times higher for patients who stopped natalizumab because of poor tolerance or lack of efficacy. Washout periods shorter than 3 months were associated with 77% lower risk of relapse during the WP, but also with less disease activity before natalizumab treatment. Twenty percent (20%) of patients relapsed during the first 6 months of treatment with fingolimod, while 3% stopped fingolimod due to issues with efficacy, tolerance, or compliance. Researchers found that the occurrence of relapse during the WP was the only significant prognostic factor for relapse during fingolimod therapy (odds ratio, 3.80; P = .05). They also recommend that washout periods should be shorter than 3 months (Cohen, 2014). The key to this salad is the cooked kidney bean and vegetable mixture. A few years ago in the frozen food section, I discovered Hanover Latino Blend Vegetables (16 oz. bag) which includes corn, black beans, onions, green peppers, and red peppers. This combination of vegetables is perfect for a taco salad. Cooking/frying the kidney beans in salt and pepper changes the flavor in a way that compliments the salad. The following recipe usually feeds 3 people in our household. The kidney beans are high in fiber. The romaine lettuce, tomatoes, and mixed vegetables are low in calories. The cumin enhances the mexican flavor, as does the salsa and cheddar jack cheese. The optional honey french dressing adds a little sweetness to accompany the salty of the kidney beans. Newly Diagnosed with MS? What should you do? As you begin to learn how MS affects you personally, you will discover what strategies help you feel your best. From day one, you can focus on staying healthy through diet and exercise. Eating high-quality food, such as cold-water fish (e.g. salmon), fresh fruits and vegetables, nuts, and whole grains, while avoiding highly processed foods will provide your body with quality nutrients. Supplements, such as Vitamin D, can be helpful in combating MS. Discuss all supplements and medications you take with your neurologist. Exercise, which can reduce fatigue and help you maintain strength, does not need to be strenuous. Moderate-intensity aerobic exercise in short sessions, such as five 3- or 4-minute bursts of exercise with 2-minute rest periods in between, can improve fatigue and health-related quality of life (Carter, 2014). Exercising past the point of fatigue may actually prevent you from sticking with an exercise routine. Working with a physical therapist who specializes in neurological disorders can be helpful. When living with MS, we may experience physical stress, emotional stress, social stress, economic stress, and cognitive distress. The physiological changes caused by MS, such as weakness, spasticity, imbalance or loss of coordination, can increase physical demands on the body. It is important to be aware of physical changes caused by MS and to work to combat them so that the changes themselves do not create additional problems. Staying active and working with a physical therapist or trainer are ways you can reduce the physical stress caused by MS. Regular exercise reduces the effects of stress hormones on the body and can help prevent physical de-conditioning. Strength training helps to build and maintain muscle strength with is necessary with you live with MS. Working with a healthcare provider to learn how to adjust to changing abilities and properly use assistive devices can be invaluable. Emotional stress can be caused by the uncertainty and unpredictable nature of the disease. It can also result from physical changes occurring in the brain due to neurological damage. Common symptoms of MS include depression, anxiety, and cognitive dysfunction. When you are feeling emotionally stressed, it doesn’t take much to trigger a physical reaction. However, there is no clear evidence that stress can trigger exacerbations. While symptoms of a relapse may be dramatic, they can also be more subtle. Numbness, tingling, or other altered sensations are very common MS symptoms which you might notice much of the time. However, numbness that begins to spread or becomes more intense over the course of a day or two may indicate an impending relapse. Loss of sensation can be more than annoying, it can become dangerous. Call the doctor when you notice new or worsening numbness that doesn’t go away. Foot drop is a common symptom of MS that involves weak ankle muscles which make it hard to flex the foot. Foot drop may cause you to trip as the toes of the foot drag or get caught on surfaces as you walk. People with MS who experience foot drop may develop an exaggerated gait to avoid tripping. Working with a physical therapist who may prescribe a specially designed ankle brace can be helpful. If you develop a new case of foot drop, call your doctor. 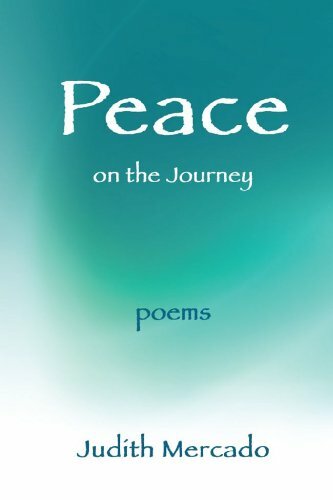 Our blogger friend Judy Mercado of Peace on the Journey has published her inspiring and expressive haikus and poems in her new book Peace on the Journey: Poems which is available in paperback and Kindle editions. for a year, though one can easily start on any page and progress in any order. Peace on the Journey is enrolled in Amazon’s Matchbook program. This means that if you already purchased the print edition in the past (or purchase one now), the Kindle price is reduced by 50%. Ten percent of net book proceeds will be donated to the Myelin Repair Foundation. basics: avoid heat, overexertion, and stress. I had been teaching 2nd grade for 4 years, so I was well established at my school. I informed my principal of the situation when I returned from my maternity leave. I had asked her to not say anything to anyone else. From the beginning I just didn’t want people to see the disease when they looked at me. I wanted them to see me, not the MS. I don’t like for people to feel sorry for me or pity me. I never have. I handle what’s been given to me and move on with life. At any rate, I entered my 5th year of teaching that fall. I did tell some of my fellow teammates that if they see me stumbling through the halls, it was not because anyone had finally pushed me over the edge to cause me to drink at school. That school year came and went without a hiccup. I regained the feeling in my legs about 8 weeks after the whole episode began. We’d done lots of reading about MS being passed on to children, and we found that our children would have a slightly higher chance of developing MS than “regular” children. Mine wasn’t a genetic issue. No one else in my family has it. I’m #4 of 6 kids, have 9 cousins, aunts, uncles, and grandparents, but I was the “lucky” one. We felt that it would not be a reckless or careless decision to have another child. I’d had absolutely no issues after that 8 week numbness in 2004, and I’d had a wonderful first pregnancy and delivery – other than going into pre-term labor as a result of our first pug passing away in my arms in the car on our way to the emergency vet. We are crazy pug people; 4 pugs and 2 cats. Pretty awful experience losing our little buddy. Our son was born 3.5 weeks early, but he was 7 lbs. 7 oz. and was perfectly healthy. We agreed that it was time for another little one. My husband felt that it was also time for him to do what he could to support the MS Society by participating in the Cox MS Atlanta cycling weekend by riding 100 miles over 2 days. He signed up and raised money for the MS Society. It was obviously a charity event, but leave it to my husband to still make sure he crossed the line first. Our son and I raced to the finish (from home) to greet him. He finished so early that we missed his actual crossing of the finish line, but we were there soon after. That’s my guy! Forever in my corner. This concludes the 152nd edition of the Carnival. The next Carnival of MS Bloggers will be hosted here on March 6, 2014. Please remember to submit a post (via email) from your blog of which you are particularly proud, or which you simply want to share, by noon on Tuesday, October 1, 2013. Studies indicate that compared to the general population, people with periodontal disease have an increased prevalence of RA and, periodontal disease is at least two times more prevalent in RA patients. Researchers have found that the bacteria, porphyromonas gingivalis, which is responsible for periodontal disease worsens RA by leading to earlier onset, faster progression and greater severity of disease, including increased bone and cartilage destruction. Bacteria in our mouths combine with mucus and other particles to form sticky plaque on teeth that may be removed with daily brushing and flossing. When plaque hardens, it becomes tartar which must be removed by professional dental cleaning. Plaque and tartar buildup lead to gingivitis, characterized by red, swollen gums that can bleed easily, which is generally reversible with proper treatment and improved dental hygiene. Periodontal disease is characterized by disease progression beyond gingivitis to a chronic inflammatory process that affects the tissue surrounding and securing teeth, the ligaments providing support, and the bone into which teeth are anchored. Symptoms of periodontal disease include bleeding gums, receding gum-line, deepening pockets around the tooth, tooth loosening, and eventual bone erosion and tooth loss. Clinical studies have shown that alveolar bone loss (jawbone) in RA patients with periodontal disease parallels RA-associated bone erosions in other joints and that the severity of periodontal disease in RA patients tracks with the severity of RA disease activity.